It’s never too late to have a happy ending. All of the food in this book made my mouth water. The descriptions of the various meals that the characters cooked for each other were so vivid that I could almost taste them myself. Even the simple dishes sounded incredibly delicious. Small details like this matter a lot to me. I really appreciate it when authors take the time to describe the worlds they’ve created with as many senses as possible. The blurb lead me to believe that I’d be reading a ghost story that had romantic elements, so I was surprised to see how much the plot focused on the living, human characters instead of on Dixie and her mission. While I adored Ellen and Michael, most of the conflict had to do with how and if Dixie would be able to convince her former master to move on with her life. It didn’t make sense to me to draw the audience’s attention away from that tension by having other characters narrate what was going on. With that being said, I did enjoy seeing Michael and Ellen interact. They were so sweet and kind to each other. Knowing as much as I did about their backstories and personalities also made it easy for me to hope they’d end up together. They seemed like they had a lot in common, and that’s something I look for in a romance novel. 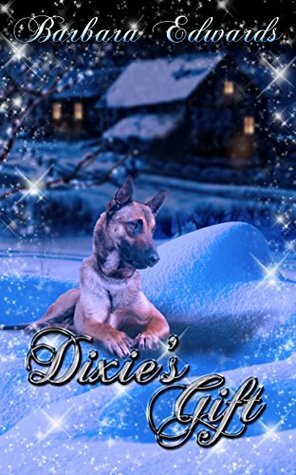 I’d recommend Dixie’s Gift to anyone who is in the mood for a heartwarming read.